Is Grants.gov All Wrong For You? Our Network is constantly growing and adapting. Highlighted here are sites focused on personal finance and financial aid, grants and scholarships, and funding for non-profits and small business. Interested in purchasing a website or partnering in another way? Reach out through our contact page. Free Grants Community is our flagship service. It provides clear, well-organized information regarding grants and other finance-related topics. While hundreds of billions of dollars are awarded each year in government grants there is considerable misunderstanding and confusion about what a grant really is, who is eligible to win one and how to make that happen. We clarify all that and offer how-to information not only about grants but also other sources of money: traditional and alternative financing for start-ups and small businesses, personal financial aid, private and government grants and scholarships for students, unclaimed money, and more. We also provide direction for finding free tax help, avoiding phone call scams, and about organizing and writing a winning grant application – including interviews with others who have been successful doing so in the past. We are proud of the community we have developed around Free Grants Community. Over 3000 users have registered on this site and we actively seek and respond to their questions and comments in our Community Ask & Answer section. Other members are encouraged to provide responses as well. We also respond personally almost daily to questions posted on our Facebook page, where we will soon exceed 9000 Fans. 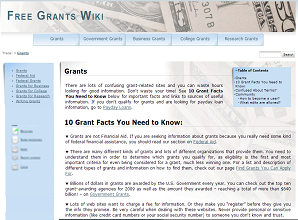 Free Grants Wiki is a more basic information offering, covering straightforward information about Grants of all types. Our design accommodates user involvement in terms of adding or editing information and/or raising questions and requests for help from the community. 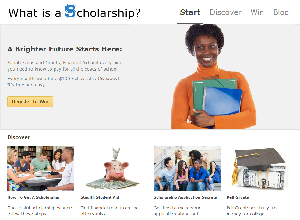 Client: What is a Scholarship? What Is A Scholarship is a Concept Creative Partner Site providing considerably more depth of information regarding scholarships as well as other types of education-related financial aid. Advice includes not only sources of aid but also how to avoid mistakes, how to maximize the aid you receive and how to increase your chance of winning a scholarship. 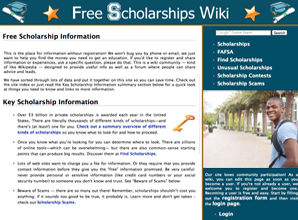 What Is A Scholarship also provides its own educational “grant” through a sweepstake drawing each month. 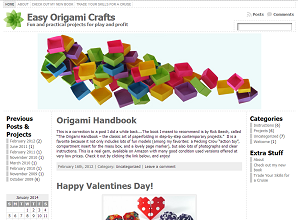 Easy Origami Crafts is a fun site focused on artful origami with a practical purpose. It differs from other instructional sites in that its instructions and diagrams are designed for the “non-folder” — someone not necessarily proficient in the meaning of standard origami diagrams. Detailed, plain English directions accompany illustrative photographs to lead self-doubting novices easily through the steps to create a beautiful result. 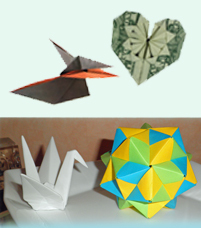 Numerous comments from our Easy Origami Crafts community attest to the site’s success in doing so. Concept Creative has helped churches in Northern California and Nevada raise tens of millions of dollars. Our campaign themes and promotional materials have been described as inviting, uplifting and — our favorite — “un-churchy”. The graphics scrolling on the left are samples of posters from some of our campaigns. We are not currently seeking campaign engagements. However, you are welcome to look through the samples of our previous work for ideas and inspiration for your own fundraising efforts. In the future our plans include setting up a gallery and collection of campaign document templates. Please note that when we didn’t use photos of actual people and places we licensed stock photos from places like depositphotos.com for use in our posters. The license agreements were only for those specific campaigns. Though you may not legally use any graphics copied from these images we encourage you to search stock photo sites for ideas, inspiration, and images relevant to your own campaigns. Written by Sydney J. Harris, American Journalist and Author -- and a guiding premise of Concept Creative. Concept Creative was founded in 2002 to provide effective communications and funding support to non-profits and small business. Since that time we have grown and diversified significantly in terms of the types of services we offer and those that are on the drawing board. What has not changed is our focus on communicating clear and honest information that helps people and organizations understand, deal with and even excel in potentially difficult (and sometimes scam-ridden) areas. Our topics range from personal finance and financial aid to small business financing, non-profit funding, and grants and scholarships for education. On a lighter note, we offer creative instruction on origami designed specifically for those with little or no understanding of this art form. Our approach in each area of our business encourages the development of a supportive community. Our sites invite users to register and add or edit information, make comments, and ask and/or respond to community questions. We respond personally to questions and comments on Facebook and make use of other social networks to expand our reach and community participation. Check out Our Network to learn more. Concept Creative’s founders and principals are a mother-son team. Together we have degrees and work experience in fields including liberal arts, computer science, engineering, business, marketing and technology. In keeping with our community orientation we also draw on the expertise of a circle of professional colleagues to enhance our offerings. Concept Creative utilizes a wide variety of open-source tools. 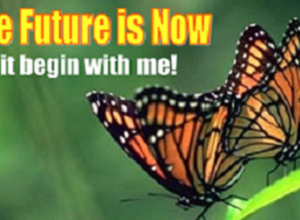 Together those tools power tens of millions of page views every year. As part of the culture of open-source, we’re giving back by sharing our Concept Creative Tools and Network Resources. We’re excited to promote our public tools and we welcome feedback and collaboration. Learn more about Concept Creative Tools and Network Resources. Check out our free tools and analysis on Github! Our favorite development language is Python and we’ve got resources to improve your online marketing. Discover Free Tools and Analysis from Concept Creative. adstats – A tool for comparing day/week/month revenues from advertisements. backlinks – Backlinks analysis tool based on the popular SeoMoz backlink api. ngrams – N-gram keyword analysis. You’ll need to be a developer to make the most of these tools. But feel free to leave a comment if you need help. All tools are made available under the MIT License so feel free to use, adopt, and change the source as you like. Pull requests are welcome! On our flagship service the Free Grants Community we provide extensive information to educate readers about all kinds of grants, federal and local financial aid, scholarships, and other types of financial and community support. On the associated Facebook Page we also respond to inquiries from individuals to help point people in the right direction. It allows us not only to provide information tailored to someone’s specific needs, but also helps us appreciate what people’s most common concerns are. It has become very clear that there is substantial confusion and misinformation out there about grants: what they are, who they are for, how you get them, and most importantly what the difference is between grants and various types of government assistance. 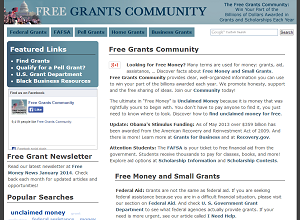 For those qualifying non-profits and government agencies seeking bona fide grants, the federal website grants.gov is the go-to place for information and applications for specific grants. For others grants.gov will almost surely be a source of frustration and disappointment — and it may make them more susceptible to misleading sales messages. So while we generally consider grants.gov to be a quality site we also warn many people away from it. Learn more about why grants.gov may not be good for you. Welcome to Concept Creative! We publish and manage a Network of information and service-oriented websites. We provide clear, reliable information that help people with a range of topics including personal finance and financial aid, funding for small business and for non-profits, and grants and scholarships of all kinds. We promote a community approach to information and problem solving and allow users to make edits and answer questions where appropriate. We also use social media to encourage communication and keep our users up to date on important information. We invite you to check out Our Network and join any community that interests you!